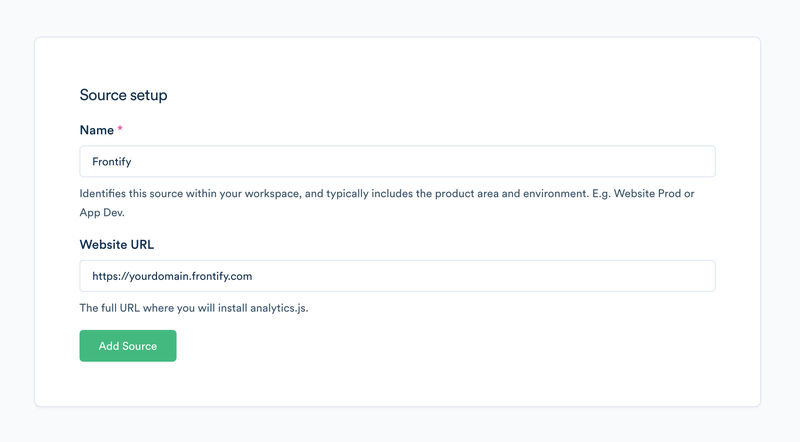 The analytics build into the Frontify Style Guide already gives you a convenient way of how often your guidelines or parts of it are consumed by users. However, there is times you may want to dig deeper and get more insights on the type of users, what and where they download files, videos they watch or just how the navigate over your guidelines. This is when you need to hook up your analytics tool to Frontify. Here's how. 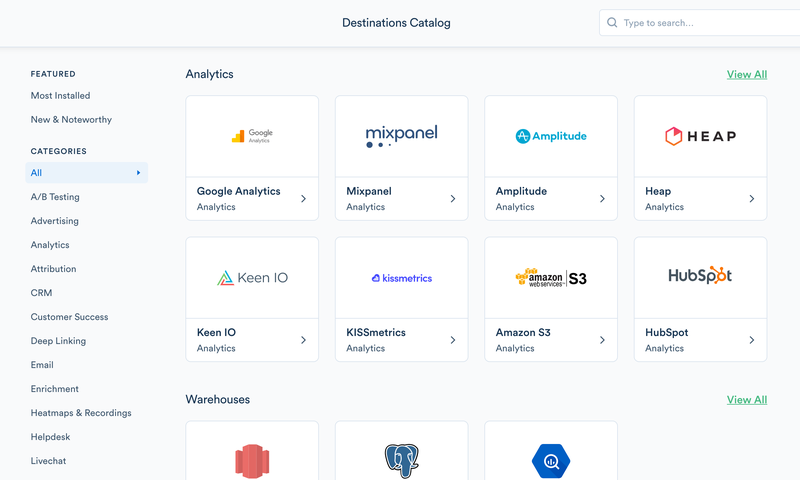 Segment.com is a cloud service that allows you to connect business applications like Frontify to 200+ analytics applications like Google Analytics. By supporting Segment, we allow you to get insights on Style Guide usage in your system of choice. Segment is free for up to 1'000 users per month. You'll need a Frontify Business subscription to use this feature. How to prepare Segment for use in Frontify? Once you've added the new source, copy your Segment Key (You'll need it later) and create a new destination with "Add Destination". Choose your preferred destination from a catalogue of 200+ applications e.g. Google Analytics. How to enable Segment in a Style Guide? Go to your Style Guide and open the General settings via Powerbar. Scroll down to the "Segment" section and toggle "Enabled", then configure your Segment Key (see above) to enable tracking. You've successfully setup Segment integration and the data now flows into your destination system(s). 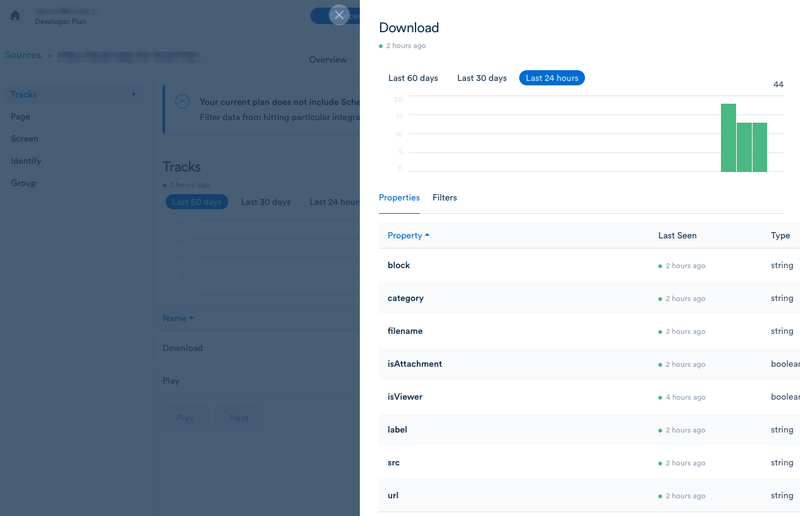 Currently, we're tracking document, page and section views as well as the user login method, downloads and played videos. 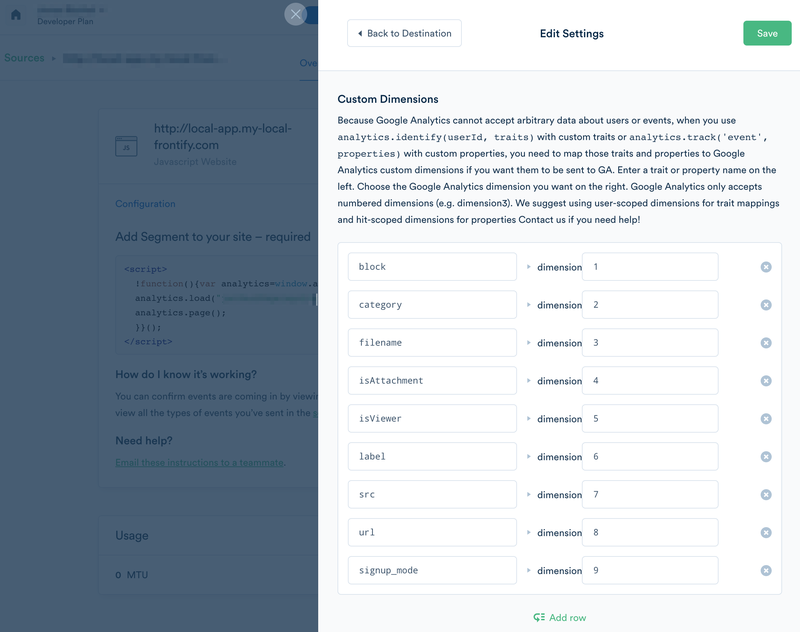 This allows you to analyse a variety of metrics regarding your Style Guide content, e.g. No of Views per Page, Read Time, Bounce Rate, Demographics & more. Please let us know if you need more metrics from your Style Guide. The best way to test your integration is in the segment debugger. Open your source and do some downloads on your Frontify styleguide. You should see tracking results in segment debugger instantly. Please note: if you have any active privacy protection or adblocker extensions in your browser, segment won't be able to track your events. If you connect e.g. 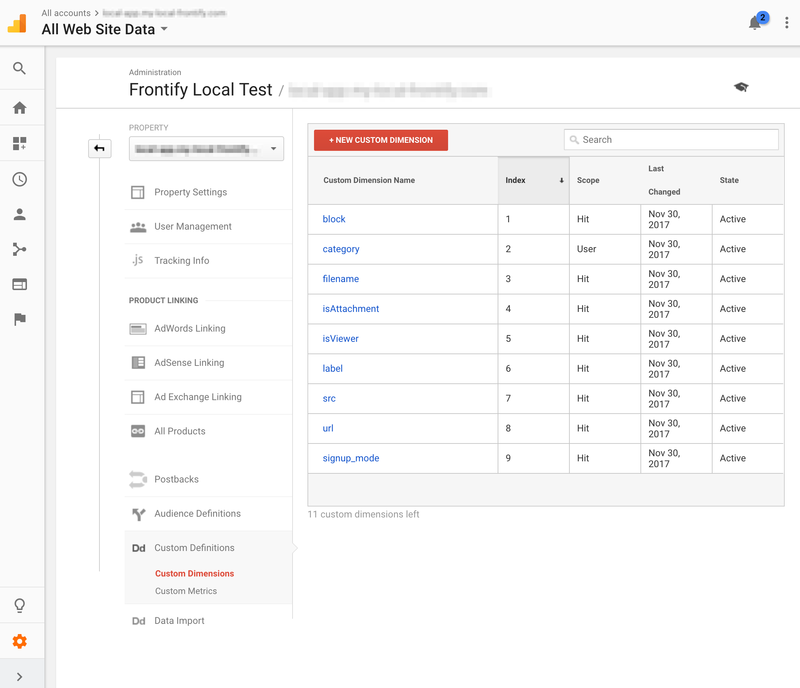 Google Analytics, this properties are displayed in all default reports. The tracked dimensions from a specific event are listed in the segment debugger. (see screenshot below). Also have a look at the available custom dimensions at sources -> schema -> tracks. They will show up as soon as they were triggered the first time. If you like to use some custom dimensions you have to add it to your destination configuration as well as to your analytics tool. E.g. for Google Analytics there are settings in admin -> custom definitions -> custom dimensions. E.g. for Google Analytics there is an option at the destination -> settings (sproket icon) -> 'Custom Dimensions'. Fill in the custom dimension names (E.g. 'url', 'filename', etc.) and a the index number. Please note that this number has to be the corresponding Google Analytics custom dimension index. The usage of cutom dimensions depends on your tool. E.g. 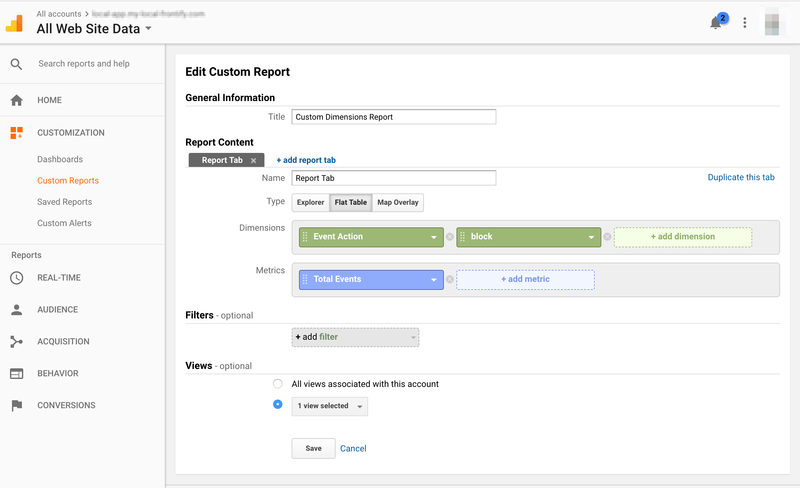 in Google Analytics you have to create a custom report. Add there your custom dimensions and a metric, we recommend 'Total Events'.